Instacom, a South Africa-based Telecommunications company and a pioneer of Push-to-Talk (PTT), delivers the only reliable and approved PTT telecommunication solution to the South African market, offering a new style of communication at the push of a button. Instacom began its journey in 2008 as the sole suppliers of Push-to-Talk communication technology in South Africa. Since then Instacom has innovated its service offering to include additional benefits to companies across an array of industries such as construction, mining, logistics, transport, contract cleaning, healthcare and retail just to name a few. The improvements include an instant message system, staff and asset patrolling applications, panic buttons and various tracking capabilities to ensure a holistic solution tailored to meet the complexity of any business. Instacom uses Android based rugged devices and installs its solutions on these devices. Instacom provides a complete solution with hardware and software that includes even the data plan. This complete solution makes Instacom a one-stop shop for its customers. Instacom has customers from a number of verticals. These customers take the solutions provided by Instacom and deploy them for their respective businesses. Most of the times, mobile devices are given to blue-collared workers deployed in the field. These could be security personnel, drivers, delivery agents or construction workers. Instacom spent a lot of time, effort and cost attending to issues reported by its customers about malfunctioning solution or devices. 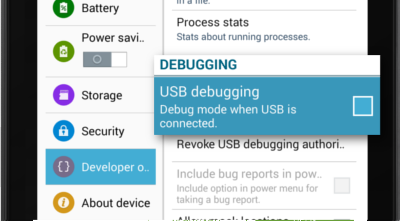 Many a times after having travelled to the client location, Instacom support engineers would find that the issue got triggered due to inadvertent changes to device settings. For example, switching the device to flight mode would switch off mobile data and disable the push-to-talk and guard patrol solution as these require data connections to operate. The devices were also open to misuse as they had data access enabled on them. Misuse of data and call facility on the device can result in huge mobile bills. Instacom was looking for a solution that would help it reduce the time spent on issues reported due to device misuse and inadvertent device setting changes. Since most of the deployments involved multiple devices at different locations, Instacom wanted a solution that would help it connect to all devices and concurrently push software updates and help monitor, track and remotely support the devices. Instacom support engineers would find that the issue got triggered due to inadvertent changes to device settings. Instacom found that the best way to avoid device misuse and changes to device settings would be to deploy a lockdown solution on all devices. Similarly, it decided that an MDM solution that helps them manage devices and provide remote support capabilities would suit its requirements. After a thorough research on various products available for lockdown and device management on Google Play, Instacom found the combination of SureLock and SureMDM as the perfect solution for its requirements. Instacom tried out many other products before picking SureLock and SureMDM. Instacom chose SureLock and SureMDM because of its simplicity and ease of use. 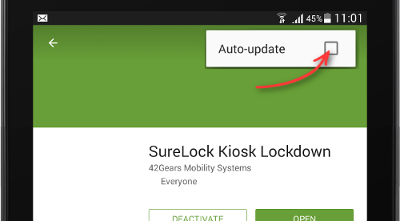 SureLock provides the most comprehensive lockdown for Android devices. With it Instacom was able to convert their general purpose Android devices into dedicated devices. SureLock allows users to only access authorized applications and the device settings are password protected and can only be accessed by an admin. SureMDM provided device management features like monitoring, tracking and software distribution. The most important feature that helped Instacom save support cost was the remote control feature in SureMDM. With it Instacom were able to take control of a device when an issue was reported. Remotely Instacom was able to troubleshoot the problem, in turn saving the cost of traveling to the client location. Instacom worked with 42Gears to get additional features added to SureMDM for its specific business requirements. This was done in quick time by the technical team of 42Gears. Instacom had a robust lockdown and device management solution in place with SureLock and SureMDM. Instacom is able to confidently sell its solution with a data plan included. Mobile devices cannot be misused with SureLock on them. There is no risk of huge mobile bills. SureMDM with its remote control feature has helped Instacom reduce its support cost by more than 50%.